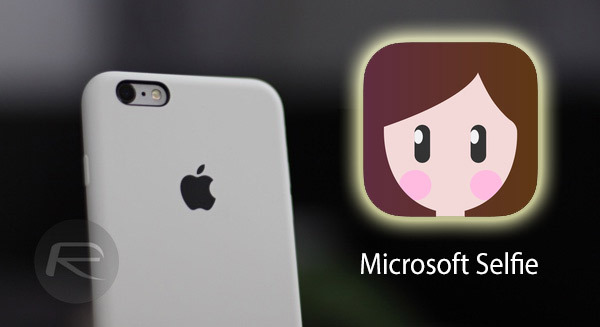 Microsoft has just released a brand new app for iPhone. It’s basically a selfie app with the usual bells and whistles and while we are not complaining, we just have to wonder what prompted a company like Microsoft to release an app with a purpose so insignificant. Called Microsoft Selfie, the purpose of the app is to simply snap a photo and make sure that your self-portrait turns out beautiful enough so you can confidently share it with your friends and family via social media websites like Twitter, Facebook, Instagram etc. Nothing wrong with that approach, but we’re talking about a purpose that is being well handled by a plethora of similar apps, including Apple’s own stock Camera app. 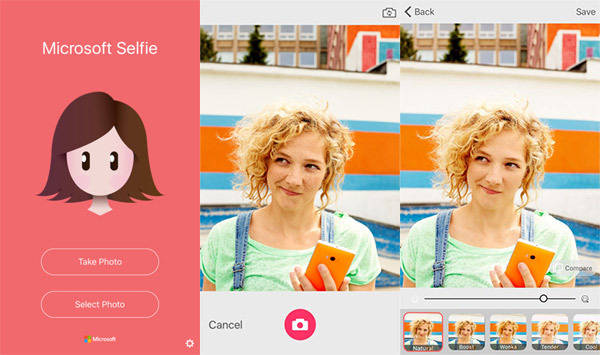 So again, what makes Microsoft Selfie stand out from the rest of the crowd? Just like all other similar apps, you have a choice of different filters to choose from, which is nothing new, but before you are given the option to choose filters, the app will take the subject’s “age, gender, skin tone, lighting, and many other variables into account,” and apply the necessary touches automatically. As far as saving and sharing options go, you can only save the photo to your Camera Roll with no option for sharing from within the app. Microsoft has recently had pretty good success with many of its iOS apps finding their way onto the top of the App Store, but this latest release by the software giant compels us to believe that the company could be simply testing this crowded market for some possibly bigger plans in the future. If you wish to give the app a whirl, it can be downloaded for free from the link given below. Android and Windows Phone users will have to wait it out and there’s no word on when or if that app will land on the other two platforms. I think they are trying to use it to get better at facial recognition.. Just saying. Spyware does not have to have a motive to exist. Microsoft won’t touch any of my iOS devices, ever.